Q & R: Is Kindness My True Religion? I’m a huge fan of your work. Thank you so much for what you do. I know you get tons and tons of emails like this and I know you may not be able to respond, but I’m still sending this anyways 🙂 I’m in the midst of faith transition/crisis/doubt/deconstruction. And I feel stuck. I keep journal of sorts to describe my experience and I included an excerpt below. What’s the one piece of advice you’d give to someone like me? Or maybe a book I should read? During the last 8 years, off and on and at varying depths, I’ve doubted my foundational beliefs: God’s existence, the Bible’s reliability and the historicity of Jesus’ resurrection. Through various experiences, I started to slowly deconstruct the foundation of my beliefs. Many of my conversations and the resources I interacted with didn’t concretely convince me my beliefs were incorrect, but they certainly rattled me and caused me to realize I didn’t actually know why I believed what I believed. That was a life altering realization. Once I started to question my foundational beliefs and started to explore other big questions of the day (How old is the earth? How does God feel about someone who is gay? etc. ), the rest started to crumble. The seemingly clear and easy Christian explanations I’ve heard all my life weren’t enough. Case for Christ wasn’t enough. As I realized I could no longer accept those convenient explanations, something significant switched in my mind and in my heart, altering the way I view life and my beliefs. The easy answers no longer satisfied my curiosity. In a way, I felt the more I pursued a belief in God, the more I lost God. The more I analyzed my relationship with God, the more my feelings for God were lifeless. It would have been easy to stop there and run back to what was comfortable and safe, but I couldn’t. And I can’t. The process was slow, but I first realized the depth of my confusion when I found myself shying away from opportunities to share my faith with others who don’t believe. If following Christ was the most important thing to me and if I truly believed what the Bible said, why wouldn’t I share it every moment I had? This was not a shyness based on a fear of not fitting in. There are many other countercultural values I share confidently because I know exactly why I believe in them. In fact, I often found myself more excited to share a general message of love and compassion rather than a message about Jesus Christ. Is kindness my true religion? Do I care about values more than beliefs? In those specific moments of doubt, I felt as if the floor beneath me disappeared and I was left floating in uncharted territory. Alone. And often afraid. I feel alone and afraid because my entire life and worldview is grounded on this faith. My family, my marriage, my friendships, my work, everything. In a big picture sense and in terms of the slow process of growing doubt, my beliefs feel like a Jenga game – one block being removed…one at a time…until the point I’ve now found myself on very shaky ground. At times, I feel paralyzed. On a side note, another unsettling realization is: I think more people than we realize struggle with this, but don’t share or don’t even realize it because they are afraid, because they haven’t taken the time to think, or because it’s too uncomfortable. I think many Christians don’t intentionally live out their radical faith because deep down inside they don’t really know why they believe. I think Christians, on the surface, agree you should know why you believe. But it seems most Christians, when questioned, cannot explain why they believe what they believe. But, aren’t those the same answers people from other religions give? Why do I believe in Christianity, but not Islam since both religions give the same generic reasons and “evidence” for belief? It seems no matter what argument against Christianity is brought up, Christians use one of a few blanket, generic statements as a “defense.” But these defenses often seem like regurgitations rather than sound reasoning. There are, of course, some well thought out explanations: fine tuning, moral law, the question of what created the big bang, the question of how matter turned into consciousness, etc. But still..
How are any of the basic explanations I’ve heard all my life actual evidence? Why should subjective emotions and experiences be a basis for belief? Haven’t all people of various faiths, and people of no faith, had transcendent experiences, such as worshipping Buddha, going to a concert, or being in nature? Has Christianity spread because it provides hope and a clear explanation for the hard moments and questions in life? Is God the “opium of the people”? Why does approving or liking (or disapproving or disliking) what God says or does play a role? If there is a God, isn’t it possible he could be mean? I understand you can’t scientifically prove God because he transcends our natural laws and human consciousness, but why wouldn’t God make himself more clear and is that reasoning just a cop out? Why wouldn’t God perform miracles and interact with us in the same way He did in the Bible today? Sometimes the Biblical narrative seems beautiful, but sometimes it also seems really bizarre and mean because of its focus on self-hatred and exclusion. Is the fact that Christianity “works” enough proof? In actuality, how different would my life be without God? Is the positive physiological effect of Christian practices proof? Why are the happiest countries (think Scandinavian countries, Australia, and Canada) non-religious and often the most dysfunctional countries (think Middle East, Africa, and the USA) religious? Would my life actually be different if I stopped believing in God? Why does a lack of explanation for something (what existed before the Big Bang, how did matter turn into consciousness, etc.) prove God? Do we just believe in the “God of the gaps” – scientific and emotional gaps? Maybe there are things in this world we just don’t know yet? Is the idea of God outdated as science continues to explain more and more? Does Christianity just explain things rather than prove things? Does it just come down to believing in natural laws vs. the supernatural? How much “bending” of your faith can you do before it’s just not Christianity any more? What about all of those violent and immoral verses in the Bible? What is the true relationship between science and faith? Is faith “nothing more that the license religious people give one another to keep believing when reasons fail?” Shouldn’t we start with the question “Why is God and the Bible true?” rather than “Why is it not true?” At what point do you let go and accept…and what distinguishes that decision versus accepting some other belief system? As someone who grew up in a Christian home, how can you truly explore your belief system without bias? 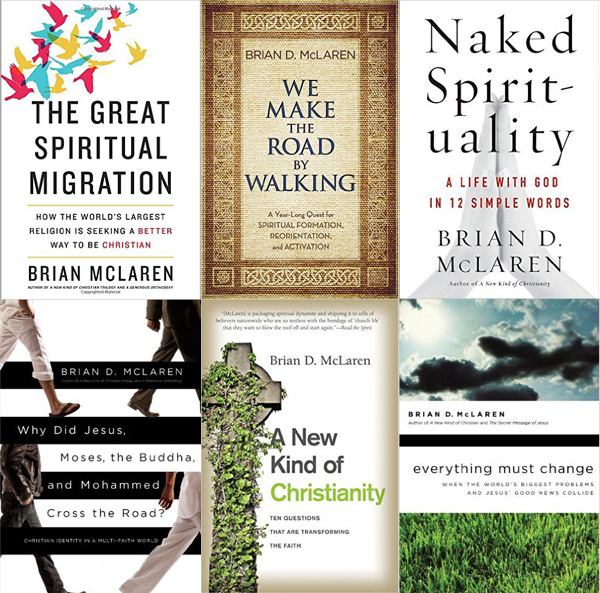 Most Christians turn to Christian apologetic books to “explore their faith”. That’s no different than an atheist reading an atheist book to support his atheistic beliefs. I think this is because most people don’t truly want to explore their faith; rather, they want to confirm what they already believe. And maybe it’s because when you start to doubt or have questions, you feel like an outcast in a black hole. You fear that exploring your faith is viewed as turning from God, rather than turning closer to God. Why are Christians so afraid of truly exploring alternative views? It seems this reality in itself is evidence for a manipulative system. When you’re raised a certain way, it seems nearly impossible to truly open your eyes to other views. But, in what other area of life do we “pick a side” without researching the other sides? Do we apply a different intellectual integrity to religion vs. everything else in our life? 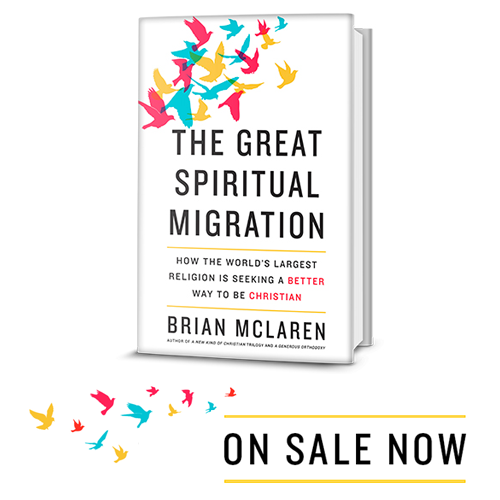 Is it revealing that most people who are Christian grew up as a Christian or only became a Christian because of an emotional and traumatic experience? But, I also understand you can’t 100% “prove” your faith and there is some level of faith in any worldview. However…there are over 3,000 gods worshipped around the world. The only difference between a Christian and an atheist is the atheist doesn’t believe in one more God than we do. How can we, without bias, explain why we believe in this particular God? Is the Bible reliable and how should it be interpreted? Did Jesus’s resurrection actually happen? There are surreal moments when I stop and think, “This whole God and Christianity thing seems insane. It seems like a man-made structure to put context around our lives and pacify our most difficult moments and questions.” Then there are times I feel like I experience God and I believe. I don’t want to go down an endless road, but I also desire clarity. I know I will never discover the answer to all these questions, but I don’t want to ignore my doubts. I want to face them head on. In addition, let me recommend another podcast: Rob Bell has been helping so many people navigate this transition you’re going through. One final thought … when you asked if kindness is your true religion, I thought, “Wow. A person could do worse!” And then, of course, I thought of Micah 6. The prophet wonders what really matters. He thinks of all the arguments among different religious sects … some arguing for the quality of sacrifices, others for the quantity of sacrifices, others even for (gasp) human sacrifice. And then another message comes: what God wants is for us to do justice, love kindness, and walk humbly before God. Justice, kindness, humility – those are available to people with the kinds of questions you’re raising. In fact, people who aren’t asking deep questions may not hear this message, and keep arguing about who’s sacrifices are righter than their neighbors!